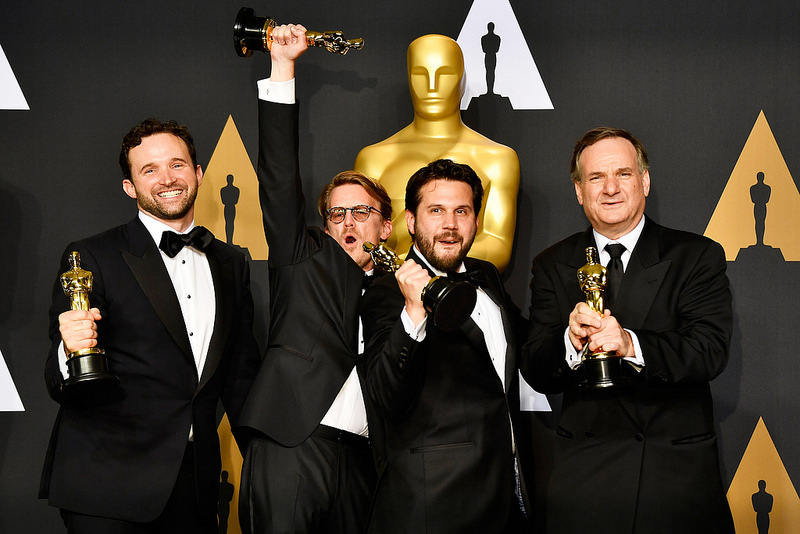 The 89th Academy Awards wrapped up two weeks ago in a whirl of controversy, but for the New Zealand film industry it certainly didn’t overshadow the iconic victories of a few new Oscar winners. 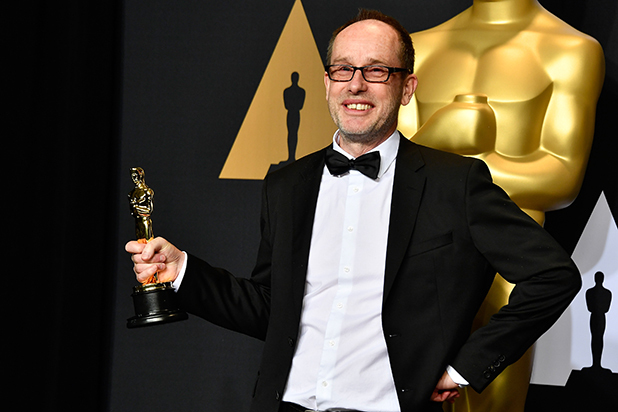 Two New Zealanders, John Gilbert and Dan Lemmon, were nominated for Academy Awards this year in the categories of ‘Best Film Editing’ and ‘Best Visual Effects’ respectively. Gilbert praised the role of Andrew Garfield in Hacksaw Ridge, whose character Desmond Doss received a Medal of Honor as a combat medic in WWII. Gilbert said he thought the film’s editing was a hit with critics because of the intensity of key scenes. “They’re made up of fragments of images, a lot of it is very short shots and high intensity. The idea was to put the audience in amongst it and people really feel it in the battle scenes”. John Gilbert, Best Film Editing for Hacksaw Ridge. Getty Images, Inc.
Gilbert won the Academy Award, a huge achievement for the local Wellingtonian, for whom it was his second Oscars nomination. Weta Digital’s Dan Lemmon was up for Best Visual Effects for The Jungle Book, who had previously been nominated for Dawn of the Planet of the Apes and Rise of the Planet of the Apes. And it was third time lucky for Lemmon, who snared his first Academy Award alongside fellow collective winners Robert Legato, Adam Valdez and Andrew R. Jones. Lemmon was quick to praise the work of New Zealanders back home, “About 400 people worked on the movie in New Zealand, from a few weeks to a year and a half.. It’s an army of individuals to make a movie like that”. Weta entered the fray for a sequence set in the temple stronghold of the Orangutan, King Louie, creating a number of computer-generated primates. Pictured from left: Dan Lemmon, Andrew R. Jones, Adam Valdez and Robert Legato. Getty Images, Inc.
Sci-Fi film Arrival was nominated for eight Academy Awards, winning one for Best Sound Editing. The film focuses on the linguistic gap between humans and alien life when Earth becomes the subject of apparent alien contact. The bridge between this gap is sound, which made the design critical to the films success. Dave Whitehead and Michelle Child led the design of the films alien vocals. Daves time spent on District 9, in which he also built the films alien vocal spectrum, was helpful in piecing together parts of an entirely new language. Arrival won Best Sound Editing at the Oscars, owing much to the films uniqueness and creative approach to how we might possibly find mutual ground with those not like the rest of us.